This document applies to version 3.1 MAINTENANCE 08 and above. The examples bellow are given for Google OAuth2 and Microsoft LiveID providers but they can be transposed to other providers. (1) version 3.1 allows only one Oauth2 provider to be configured. Sor subsequent vesrions several providers can be configured at the same time. (2) FranceConnect is an OpenIDConnect-compliant provider, starting with version 4.0 it should thus be configured as an OpenIDConnect provider instead. 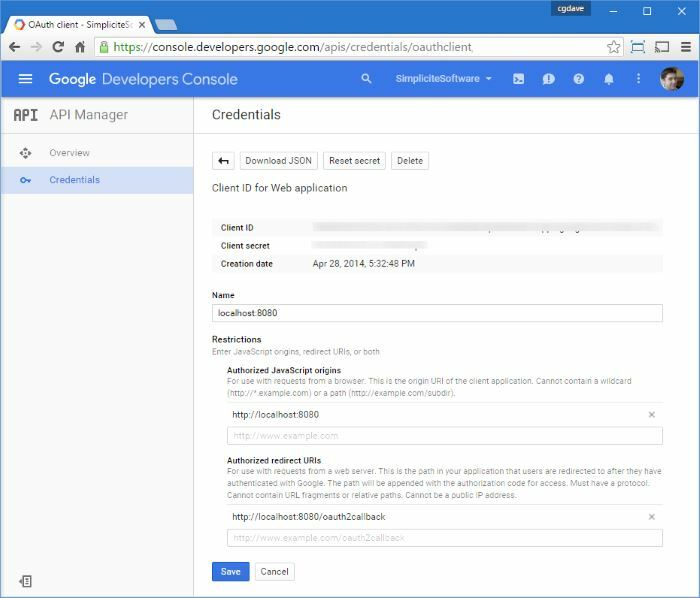 Activate the required Google+ API on Google Developers Console and, optionally, activate any other Google API that you would like to call with the auth token your users get from Google authentication. 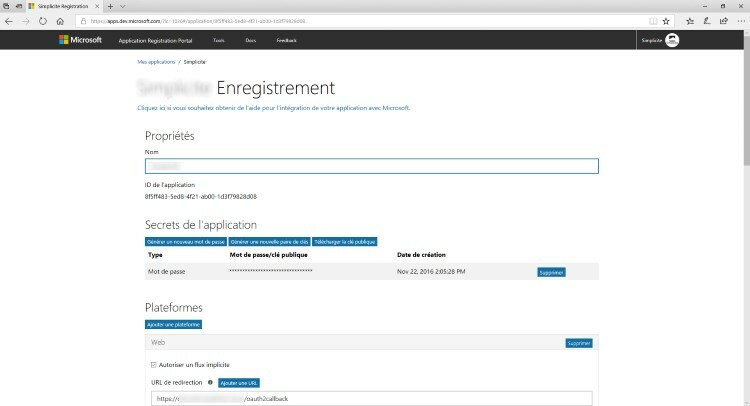 Activate the required User.Read on the portal and, optionally, activate any other Microsoft API that you would like to call with the auth token your users get from Microsoft authentication. Note that your application's URL must be exposed over HTTPS as SSL encryption is mandatory for OAuth2 protocol. Then you can implement GrantHooks global script's parseAuth method to handle the returned Google account identifier if required. The example bellow checks and removes the domain part of the account name in parseAuth and creates/updates the corresponding application user (with responsibilities on MYAPP_GROUP1 and MYAPP_GROUP2 groups) on the fly in pre/postLoadGrant. Important: before to do those changes, check that you have a user login with ADMIN and DESIGNER responsabilities that you can log in with. You can enable the debug traces by adding a debug="<true|false, defaults to false>" to the valve declaration. As of version 3.1 MAINTENANCE 08 it is possible to add API scopes using the OAUTH2_SCOPES system parameter if you want to use other Google APIs (Calendar, Drive, GMail, Maps, YouTube, ...). Note: By default the Google OAuth2 implementation uses the profile and email scopes when calling the user info endpoint. Only additional scopes needs to be configured. As of version 4.0 it is possible to configure generic OpenIDConnect (OIDC) providers (see this specification for details on the OIDC standards). Note: By default the OIDC OAuth2 implementation uses by default the openid and profile scopes when calling user info endpoint. Only additional and/or custom scopes need to be configured using the OAUTH2_SCOPES system parameter if needed. By default, the relevant user info fields defined by the OIDC standards are used to update corresponding user field (e.g. given_name for first name, family_name, etc.). As for any OAuth2 provider it is possible to do a custom parsing of user info response in the postLoadGrant grant hook as described above. Note: The FranceConnect provider is a OIDC-compliant provider, its management as a dedicated provider has been kept in version 4.0 for backward compatibility but it should now be rather configured as a generic OIDC provider. For each OAuth2 provider you can create a custom OAUTH2_SIGNIN_<uppercase provider name, e.g. MYPROVIDER> image resource.